Aquamarine is a mermaid with a mission. She wants to avoid an arranged marriage by proving to her father that love is not a myth. One night, a huge storm drops Aquamarine in a beach club pool. She is almost immediately greeted by Claire who falls into the pool accidentally. Her friend, Hailey, and handsome crush, Raymond, quickly pull Claire out of the pool. She raves about seeing a mermaid, but the friends do not believe her. As Aquamarine appears to Hailey and Claire with legs, the three team up to confirm that love is real with Raymond as the bait. 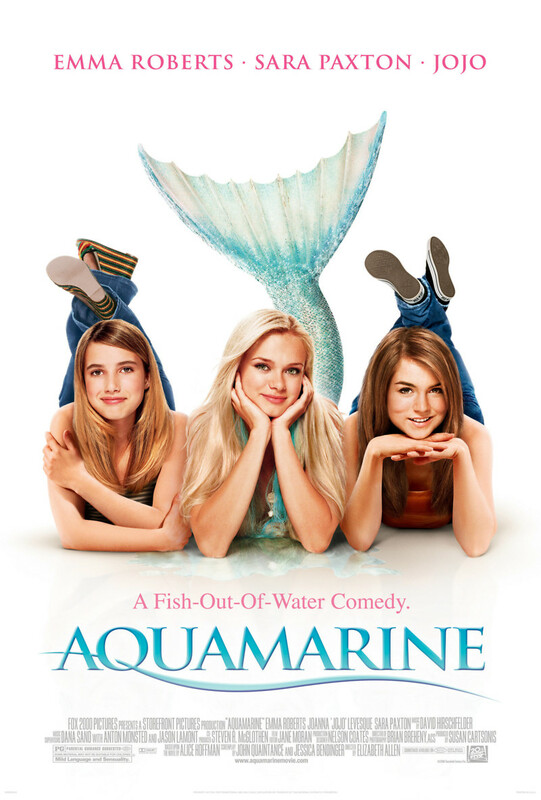 With Hailey set to move to Australia, Aquamarine and Claire must move fast to keep the three friends together for as long as possible.